Finepac Structures brings forth high efficiency Wire Mesh Packings. 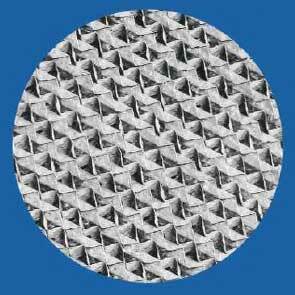 Our Wire Mesh Packings offer high capacity and low pressure drop. Our Wire Mesh Packing is manufactured from woven wire mesh to provide the most efficient packing surface required for line chemicals separations. 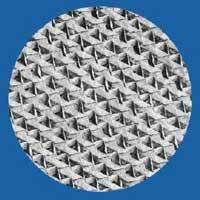 We offer our Wire Mesh Packings at industry leading prices. We offer Wire Mesh Packings that are uniquely structured and built in compliance with the international standards to work efficiently. 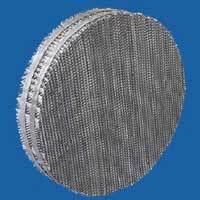 We manufacture all our Wire Mesh Packings with the high grade raw material for better durability and stability. Finepac Structures presents the clients with the Wire Mesh Packings that are high on efficiency to the usage of the high grade raw materials in the production procedures which enables longer lasting performance and better functionality.